It is hard to get over a book hangover. I haven't had a book I loved THAT much in a while, but when I do... sometimes I have to take a few days break before I start something else, or the disappointment makes it hard (especially if the next book starts slow- ugh). Exactly! I usually have to take a little reading break after reading an epic book so that I don't have unrealistic expectations for my next read. Sorry to hear you've been feeling down, sis; hope your humorous book helped lift your spirits! I'll have to look into Down with the Shine! LOL! A review that's really a love letter to the book. OK I'm about to read it since it sounds like it won't spoil things for me if you're just gushing at how great the book is :D I hope you find something good to help you move on from your book hangover! There has been a time or two when I listened to new favorite audiobook a 2nd & 3rd time all the way through before being able to move on. I think the last one was THE DRAGONS OF DORCASTLE by Jack Campbell. It was just so different from what I had been reading, and I love the relationship between Mari & Alain. I'll have to check that one out- it sounds really interesting! I've never really given audiobooks a chance, but I think I definitely need to! Thanks for the link- great advice! I really like the idea of starting out with a simple book on audio to get used to the format, and then working up to longer books. 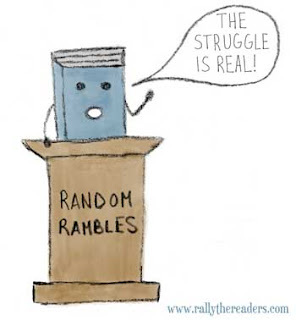 I'm one of the few people who almost never suffers from a book hangover - I tend to jump straight from one book into the next, even if I ADORED it! Sometimes I kind of wish I WOULD take more of a break to process, but I seem to just keep going! That's awesome that you're able to pick up another book right away! 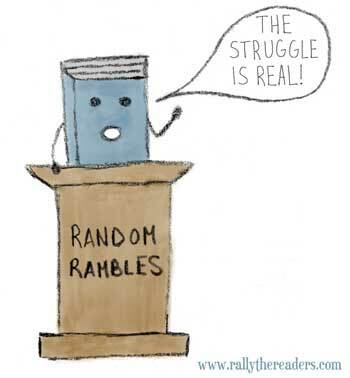 Whenever I get a book hangover, I have to pretty much force myself to move on to a new book, lol.